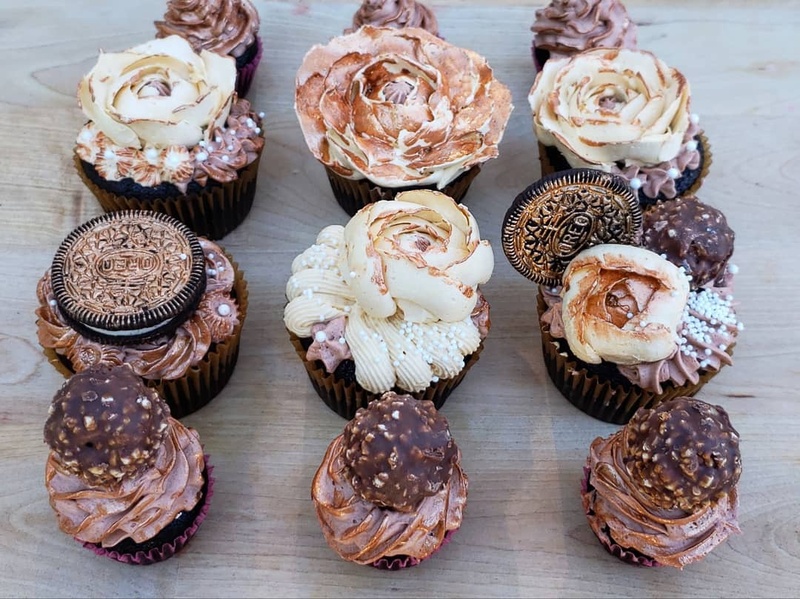 After you finish frosting your cupcakes, refrigerate them for half an hour, then paint freely over the crusted buttercream. (It would actually be much easier to spray them with an airbrush, but unfortunately I don’t own one yet, so I had to improvise.) Note that you need to work fast: buttercream tends to melt quickly, and when it does, you can’t paint on it anymore. Don’t worry about rushing, though; if you’re not finished, just re-chill the cupcakes in the fridge for a few minutes and continue painting. I had some dough left over from the first batch, so I decided to make a few minis. The end result was a dozen regular cupcakes and nine mini ones! I filled one half of the regular cupcakes with chocolate ganache and the other with Ferrero Rocher. Smart, right? 😀 The mini cupcakes are only frosted with chocolate buttercream, but they’re so moist they don’t even need any filling! 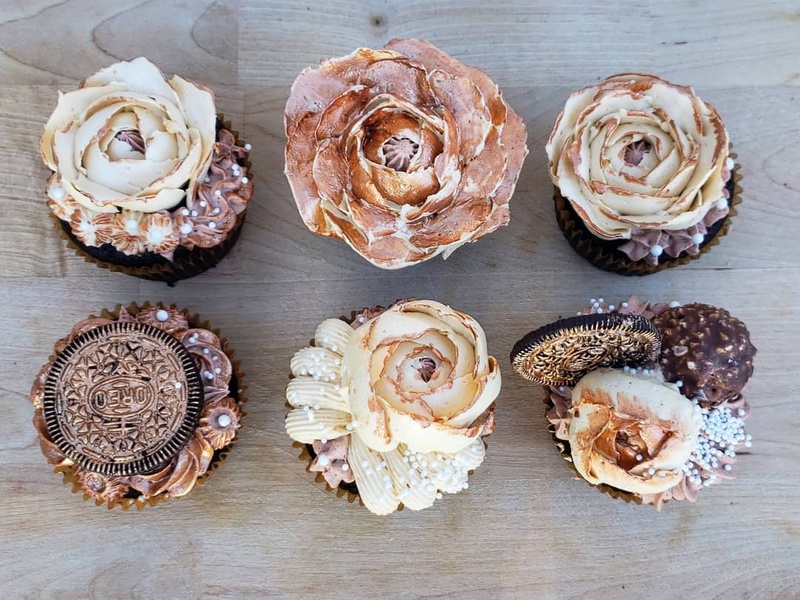 Mmm, these cupcakes look yummy, don’t they? Ibet this picture is making your mouth water! – Preheat the oven to 350°F. Line your cupcake pan with cupcake liners. – In a small saucepan, melt the butter. Add the brewed coffee, cocoa powder, and vanilla. Set aside to cool slightly. – In a small bowl, mix the egg and sour cream. 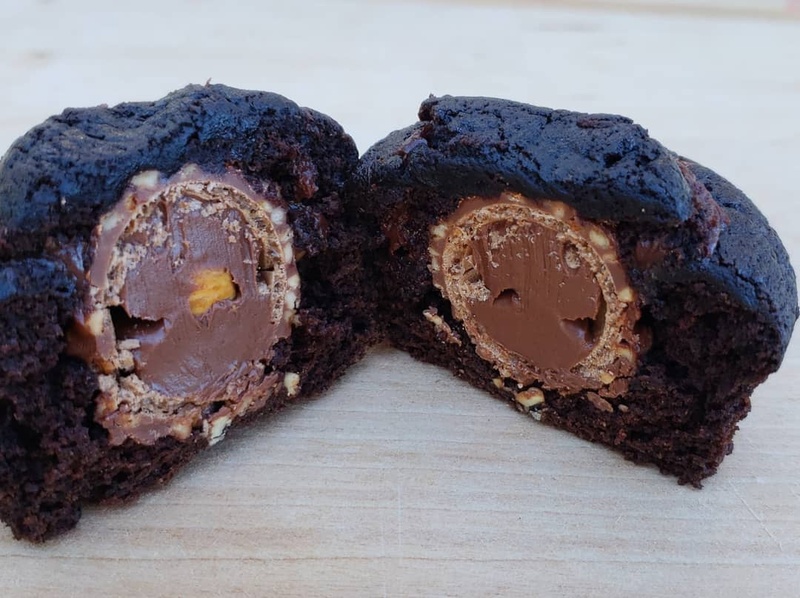 – In a slow stream, whisk the chocolate mixture and the egg mixture together. – In a medium bowl, sift the flour, sugar, baking soda, and salt. – Make a well in the center of the flour mixture and pour in the wet mixture. Whisk until combined. 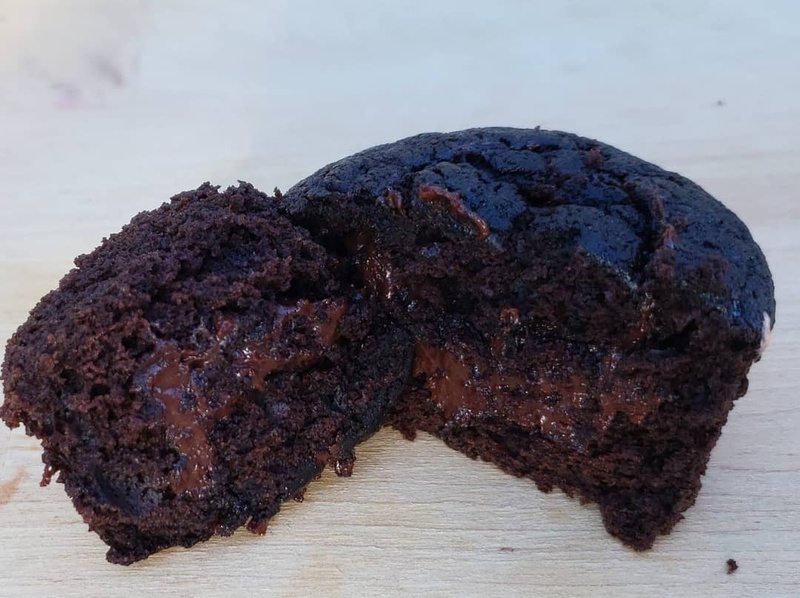 – Fill the cupcake liners up to three quarters. – Bake the cupcakes for 18 minutes. – After 18 minutes, test the cupcakes with a toothpick. If it comes out with a few moist crumbs, the cupcakes are ready. – Move the cupcakes to a cooling rack to cool completely.